This paper gives some details about howWeil descent can be used to solve the discrete logarithm problem on elliptic curves which are defined over finite fields of small characteristic. 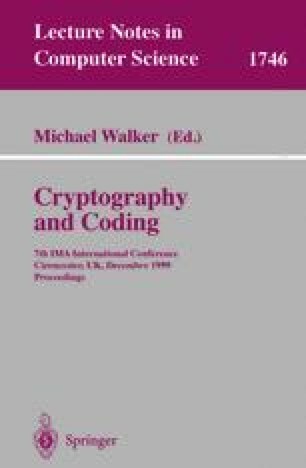 The original ideas were first introduced into cryptography by Frey. We discuss whether these ideas are a threat to existing public key systems based on elliptic curves.